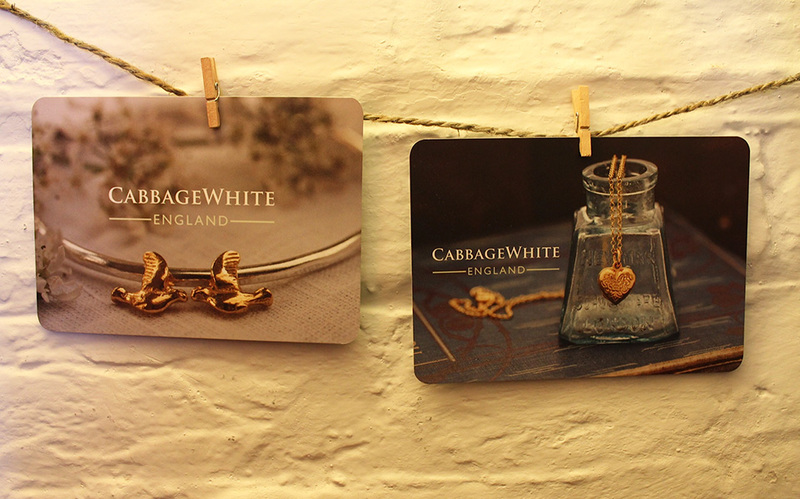 We were delighted to get involved with the re-branding of Cabbage White England, which creates handmade jewellery, inspired by nature and all things British! 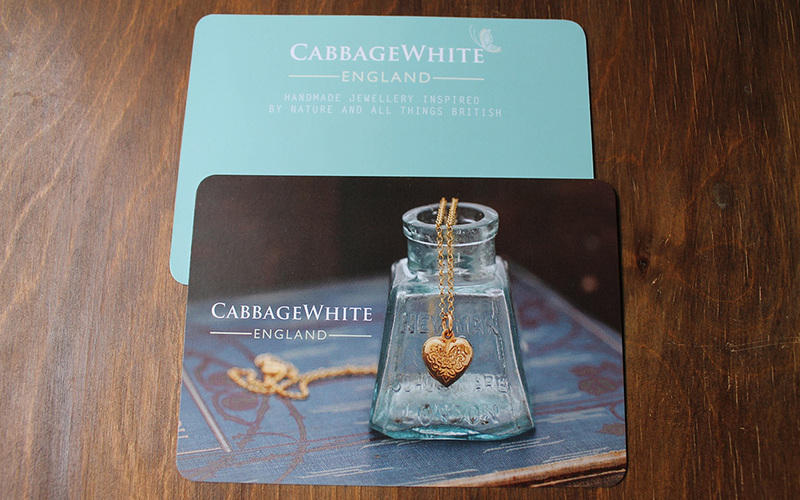 Cabbage White England wanted to create a more cohesive brand in order to target trade customers. 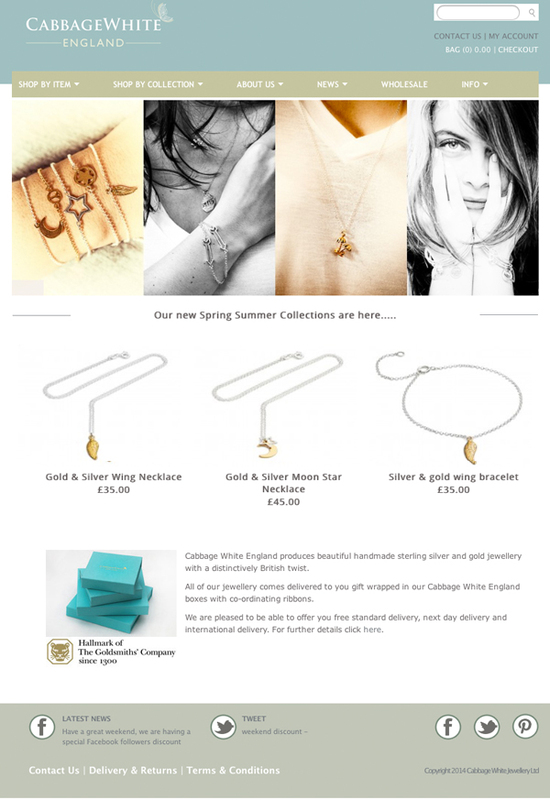 This involved creating a new logo and brand identity, which is reflected in the company’s beautiful postcard flyers. 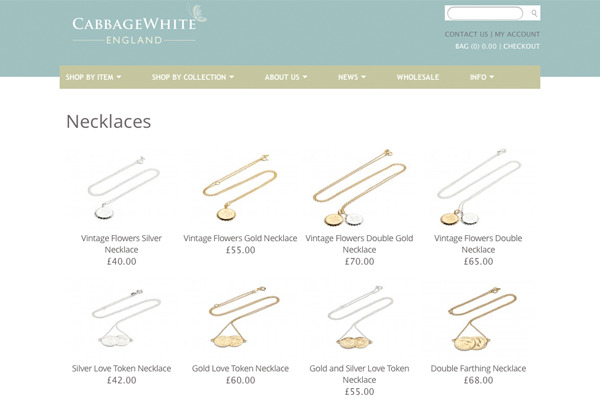 Most recently, we were involved in refreshing the home page and the main product category pages of the existing website. This involved re-structuring the pages to create a clean look to enhance the user’s experience. This included the consolidation of main menu categories, the addition of coordinated social media buttons and latest posts, and the requirement to make the website mobile device friendly.